Google Drive is an amazing service that lets you backup your files such as photos, videos, documents, etc. securely in the cloud that one can access anytime, using any device like a computer, smartphone or tablet. As you may know, Google offers 15GB of free storage space that can be used across its most prominent services – Google Drive, Gmail, and Google Photos. Though, 15GB of space is sufficient for basic users but business and enterprise users often find the need to upgrade to a paid plan to avail more storage on Drive. Personally, I didn’t encounter the need for additional storage as I’ve good amount of free space available, achieved as a part of promotional offers. 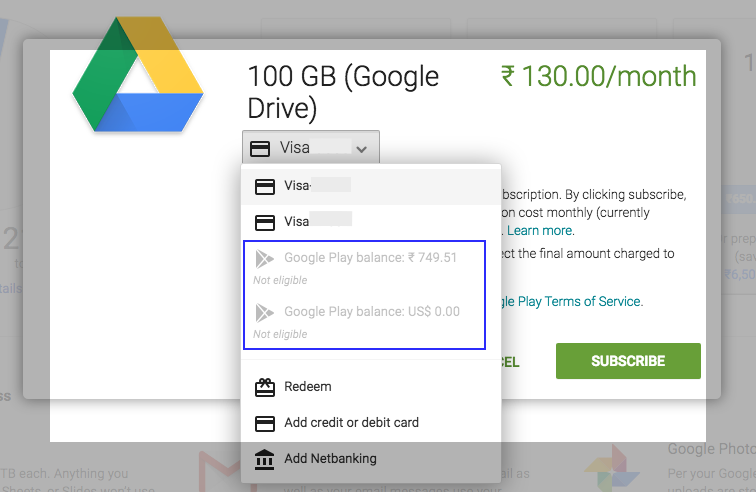 In India, Google Drive offers 100GB of storage for just Rs. 130 per month or Rs. 1300 for an year, which is totally worth it considering the benefits of this premium service. 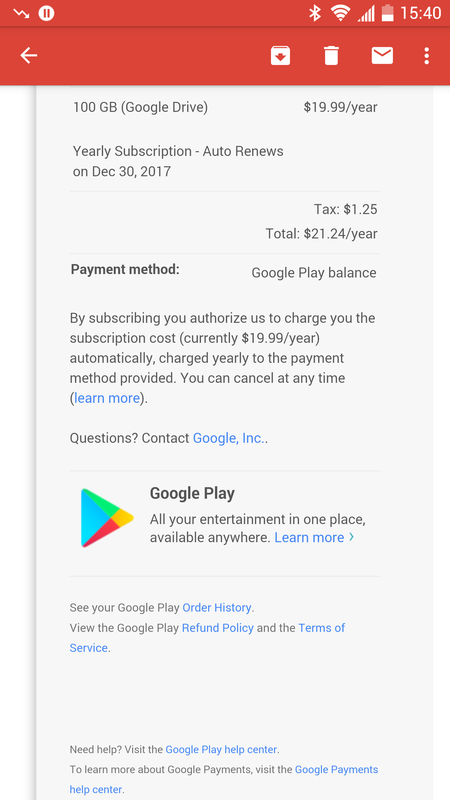 Coming to the point, recently a reddit user named “borden5” was somehow able to use his Google Play account balance to pay for storage through Google Drive app. This is kind of a surprise as Google doesn’t allows paying for Google Drive subscription with Google Play balance yet. However, as per the thread it looks like Google is quietly testing this feature by enabling it for a small number of random users. The service currently seems in A/B testing mode and could be rolled out widely sometime later. There is no official announcement regarding this yet so we feel it would take bit long before it becomes official. Well, it will be great if one can pay for Drive easily using their Play balance which is currently limited to payments using Credit card, debit card, and online banking. While trying, the ‘Google Play balance’ option was greyed out with a “Not eligible” tag. Those interested can check if they’re able to pay for Drive via Google Play balance by heading to google.com/settings/storage. Do share your views!